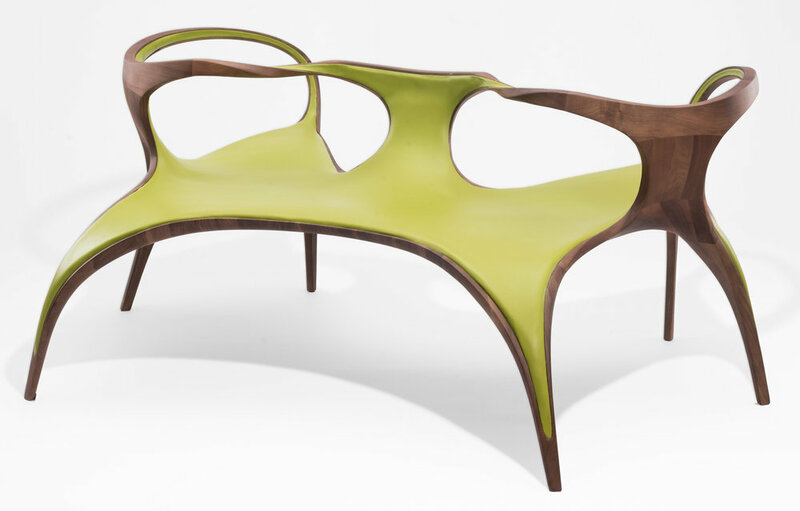 This month Zaha Hadid’s final furniture collection went on display at David Gill Gallery, a space she had a long-running relationship with. We attended the opening last week which celebrated both the show and the life of the late architect. For her UltraStellar series, Hadid moved away from the acrylic material she’s known for, instead turning to traditional materials; wood, glass, silver and leather. 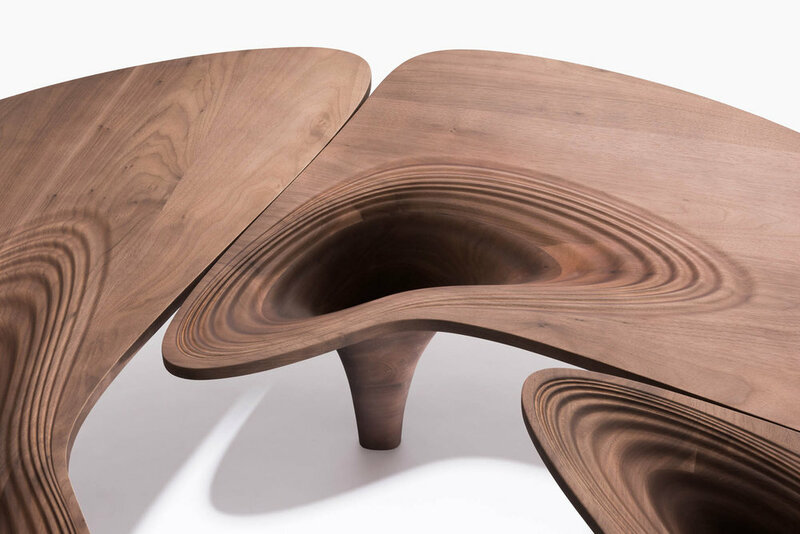 The table pictured below left is walnut with a lenticular glass eye in the centre. She astounds us yet again with the beauty in the fluidity of her forms, their organic movements heightened by natural materials. Every piece is bespoke and highlights her unwavering vision for contemporary, almost futuristic, design. The collection includes the Lisse Chandelier, show below, a colossal and dazzling chandelier in glass and aluminium. The exhibition comprises just eight works in total, each is arresting and inspiring. 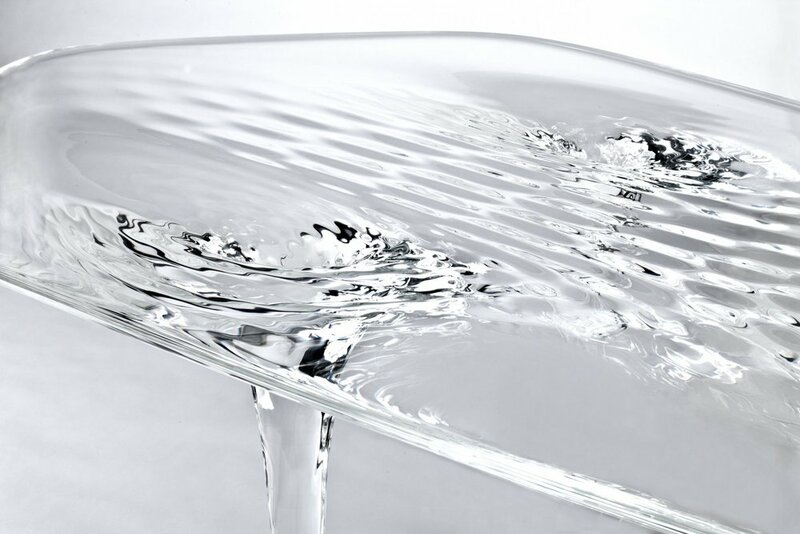 Three of the pieces were created for her Liquid Glacial collection - most recognisably the Liquid Glacial table made entirely in glass, shown below. The design sees a flat tabletop transformed through refracted light as ripples below the surface of the glass create a subtle wave effect. The overall effect is a stunning impression of water frozen in time. Zaha Hadid’s design visionary will undeniably live on in these beautiful pieces. We also loved the two versions of the group sofa, pictured below. Both variations allow groups of three to four people to sit together in a more united and conversational pose than regular sofas. The show is on until 29th October 2016.